About 5,000 armoured vehicles 1947-1990. The Yugoslavian’s people army was born from Partisan units of World War II. The People’s Liberation Army of Yugoslavia (NOVJ) is considered as the direct forerunner of the JNA, created in Rudo (Bosnia-Herzegovina), 22 December 1941 but the army was created in March 1945, as the Jugoslovenska Armija, later celebrated as the “people’s” (“narodna”) army in 1951. This force was constituted from the ground forces, air force and navy, organized into four large military regions that partly match the nation’s frontiers. Si local recruitment was more or less matching Bosnian, Croatian or Macedonian populations, but the bulk of it was formed of Serbians. These were the Belgrade, Zagreb, Skopje regions, for a total of about 280,000, including 100,000 conscripts. This organization did not moved for the whole Cold War era. On the Industrial side, the Army has been helped by a dynamic production and R&D and through exports rated as much as $3 billion it was the second largest industry after tourism. During Tito’s rule, the country was well equipped to face an invasion, with underground air bases and control centres buried deep in mountains. 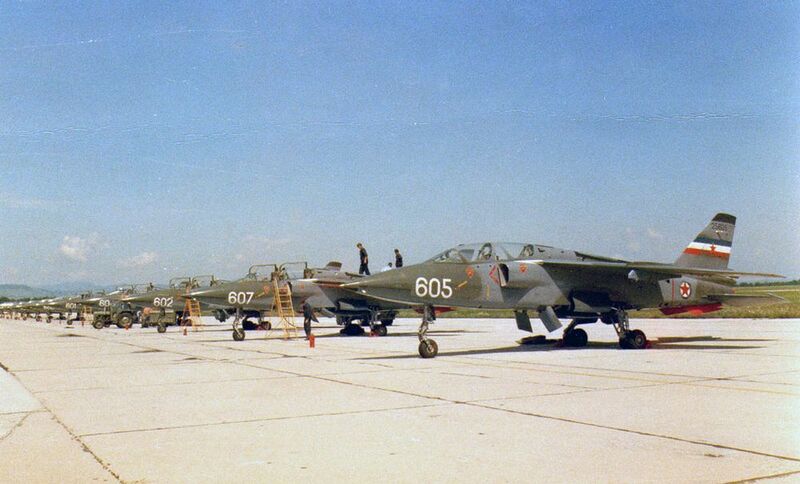 Yugoslavia also had an indigenous, efficient aircraft industry, like SOKO, covering most of Yugoslavian Air force needs. The SOKO Orao was a competent ground attack aircraft, close in appearance and capabilities to the Franco-British SEPECAT Jaguar. Tank-wise, this autonomous move was also real, as Yugoslavian developed several models for its needs, or built on existing Soviet models. The Yugoslav military-industrial complex produced tanks like the M-84 and many AFVs, like the BOV or BVP M-80 alongside a great number of artillery pieces, mortars and small arms. The tank force was made of three battalions, with 31 tanks each spread into three ten tank companies. About 1614 Soviet T-54/T-55s, 73 T-72s, 443 M-84s, and a few M47 tanks not in reserve were used before the Yugoslavian wars, but this conflict saw many vintage tanks leave reserves and fight, like T-34/85s, Shermans, M10, M18 and M36 tank destroyers among others. On the APC/IFV side, 955 M-80A IFVs and 551 M-60P APC were in service, all produced locally. In addition 200 BTR-152, BTR-40, and BTR-50 purchased in the 1960s-1970s were also in service, alongside 100 vintage M3A1 half tracks. Reconnaissance vehicles includes APC/Recce TAB-71 (Romanian-built), BRDM-2 and BTR-60s, and the locally-built BOV and LOV 4×4 armoured vehicles. On the doctrine side, the Yugoslav army was permeated by the unique total war concept of “Total People’s Defence” (Opštenarodna odbrana). Drawn from Partisan’s war experience it was about waging a defensive war in depth, with border battles. The goal was to delay any invader long enough for the territorial units through partisan tactics, well helped by the mountainous nature of the territory. Prior to Yugoslavia dissolution, the Army was reformed deeply: The old military regions were eliminated and brigade became the largest operational unit while Divisions became smaller, with twenty-nine tank, mechanized and mountain infantry brigades. This new structure presented a set of advantages, like greater operational tactical mobility, flexibility, and promotion of younger, better officers. 140,000 soldiers (including 90,000 conscripts) were in active duty, but a million trained reservists could be mustered in wartime. 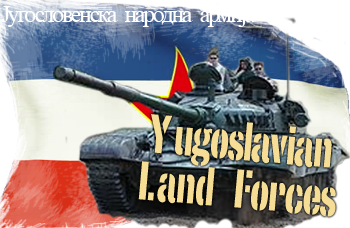 In January 1990 the League of Communists of Yugoslavia was dissolved and soon each Yugoslav republic set up its own territorial defence forces based on existing manpower and AFVs inherited from the new brigades. In addition they had a new territorial defence acting as reserve forces. In general these new armies were sub-divided into infantry, tanks, artillery, air, signal, engineering and chemical corps. Slovenia, Croatia, Bosnia-Herzegovina and Macedonia became non-communist republic, but the Yugoslavian army remains. In April 1991 however, the government of Croatia formed the Croatian National Guard, considered as a paramilitary group. But the war really started when Slovenian and croatia forces took over by force Yugoslavian control posts on the borders. Considering this move a threat for sovereignty, the Yugoslavian Army attacked on 27 June 1991, Slovenian units on the borders and the interior, and the latter responded by besieging 10 days Yugoslav Army bases on their territory. After the Brioni Agreement was signed, the Yugoslavian Army evacuated Slovenia. War also erupted in Croatia on 27 June 1991, with a siege of the Yugoslav Army’s barracks. Many soldiers chose to desert and some officers swapped sides. In August that was the start of the major battle of Vukovar where tanks were deployed on both sides, but the Croatians were ultimately defeated. By mid-October 1991, Dubrovnik and the Konavle area were hit. However after the Sarajevo agreement, the Yugoslavian army began to retire, until May 1992. Macedonia was also evacuated in March 1992, and from Bosnia and Herzegovina in May. Officially on 20 May 1992 the Army was dissolved and replaced by the newly formed Federal Republic of Yugoslavia, the army of Serbia and Montenegro (FYROM) which inherited most of its equipments, including tanks and air force. During its existence, the Yugoslav Army participated in many peace keeping operations, like the United Nations Emergency Force (1956-67) in the middle east, United Nations Yemen Observation Mission (1963), United Nations Iran–Iraq Military Observer Group (1988), United Nations Transition Assistance Group (1989), and United Nations Angola Verification Mission (1989). Kuwaiti M84. The only Country in the Middle East to purchase 149 M-84AB, M-84ABK and M-84ABN types. M84AB1, an improved Serbian version of the M84. As of today, Serbia operates 212 M-84s/AS’s. with an upgrade plan of 212 tanks to M-84AS standard. They are in service with elite units, the 15th, 26th, 36th, and 46th Tank Battalions. The latest evolution of the M84, the AS is distributed by Yugoimport SDPR in Serbia. It is said to be equivalent to the Russian T-90. Croatia operates today 76 M-84A4s, with 52 M-84A5 standard programmed for 2020. In addition, Croatia maintains a fleet of 128 BVP M-80A IFVs, 126 Patria AMV APCs, plus 93 up-armoured ex-ISAF HMMWV Hummer, and 172 Oshkosh M-ATV, 40 MaxxPro and 20 RG-33 deployed with SFCOM (Croatian Special Forces Command) and SCOM, Military Police Regiment, and Croatian army in 2014-2015. SPAAGs includes 9 Strijela 10CROA1 and 44 BOV 20/3. M95 Degman. A prototype for the Croatian Army based on the M84. It was studied by Đuro Đaković specijalna vozila d.d. but was not adopted for budgetary reasons, pending possible exports of the extrapolated M-84D (like Kuwait). The M95 combines a new composite armour and the Elbit Systems RRAK Reactive armour, a 25 mm 2A46M5 smoothbore gun with an autoloader said to be 15% faster, and as a secondary armament a Kongsberg RWS remote machine gun. Slovenian units operating with KFOR (SLOKFOR), in October 2007. 54 M-84 are currently modernized to the M-84A4 Sniper standard. Only 19 in service, the remainder are maintained in reserve for budgetary reasons. The main APCs are 85 Pandur I 6×6 vehicles produced under license, locally known as Valuk. The Army operated also some Humvee. 16 M-84 MBTs are in service by 2008, and 50 more in reserve for budgetary reasons. At some point, 71 has been in service, together with 50 AMX-30, 45 M60A3 (1996 US aid program), 155 T-54/55 (15 transferred from Egypt). Other AFVs includes 10 Chinese Type 92 APCs in the HJ-9 AT version, 10 ageing Panhard AML 60/90, 25 AMX-10P IFVs, 103 BVP M-80A, 80 M113 (1996 US aid), 100 BOV of all types. Specialized units also counts 24 2S1 Gvozdika SPGs, and 33 ZSU-57-2 SPAAGs. Yugoslavian FT, as April 1941. Few photos shows no apparent markings, the livery is probably factory olive green. 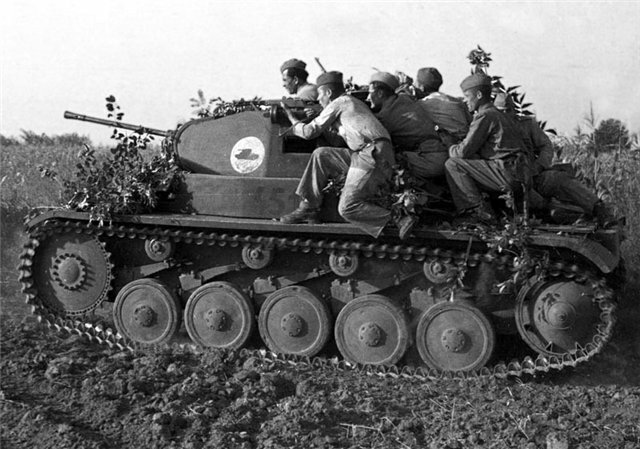 Yugoslavian R35, the most modern tank in service, delivered in 1940, just before the fall of France. Bosnian Serb M18 Hellcat in 1995. An estimated 260 has been in service with the Yugoslavian Army. Yugoslavian M36 “Topovnjaca”, Dubrovnik brigade, 1993. About 300 of these were still extant were the 1991 war broke out. It should be noted that about 40 SU-100 soviet-built tank hunter were also in service. M74 ARV, a Sherman derivative, still in service by 1990 alongside M32/M32B1 ARVs, whereas most of the 630 Shermans purchased shortly after the war has been mothballed. 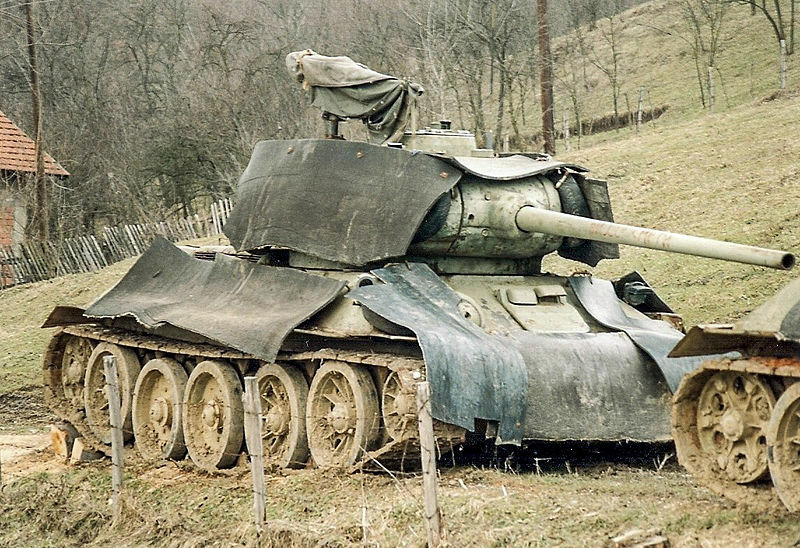 Bosnian Serb T34/85 with improvized add-on rubber armour against SPGs. In total 889 has been purchased shortly after the end of the war to USSR. 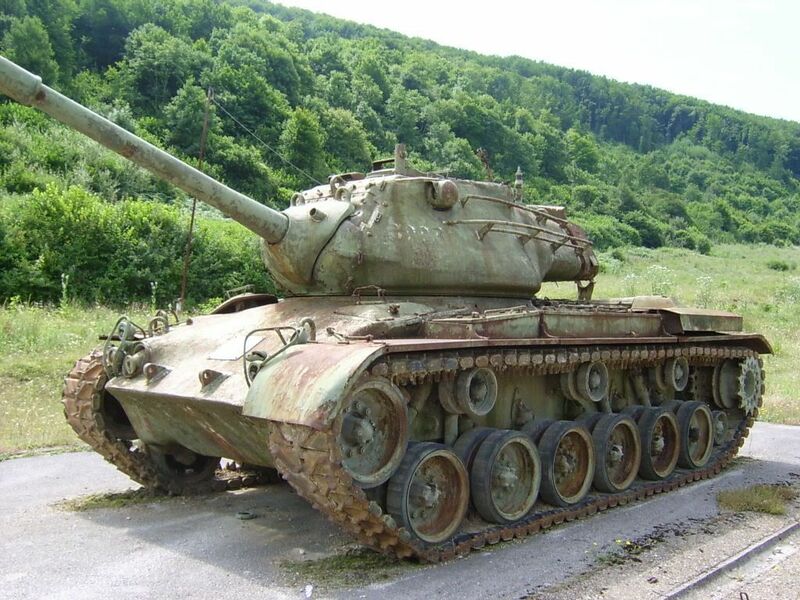 Ex-Yugoslavian M47 Patton. 319 has been delivered in the 1950s. Yugoslavia adopted the T-54 and later the T-55 which formed the bulk of its armoured forces, in total with 1614 of these still active when the war broke out. Upgraded Serbian T-72 with ERA, and local equivalent to KONTAK-5. In first line were 73 T-72 MBTs and 443 locally-built/converted M-84s. These makes today the bulk of the Serbian Armed forces, but also Croatian, Slovenian and Bosnian ground forces. 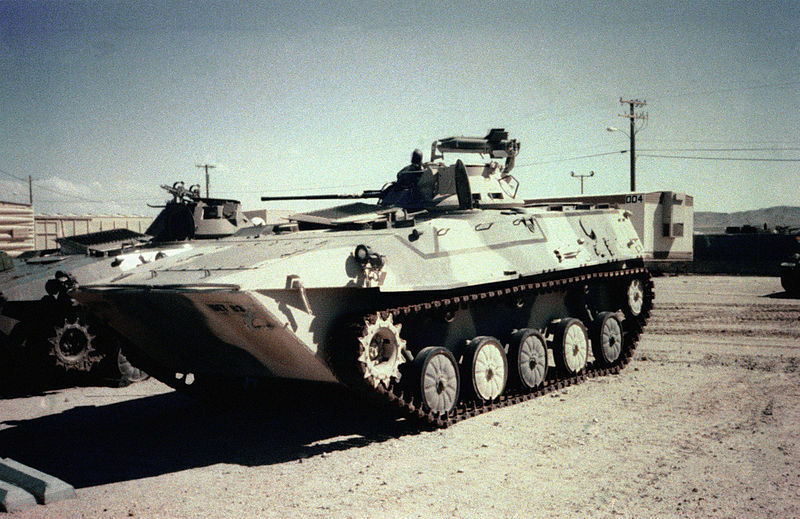 BVP M80 IFV. This IFV has been largely produced and used in the Yugoslavian wars, now in service with Bosnia, Serbia and Croatia. BOV APC, almost 1000 locally-built.